The Smit name marks five decades since the first installation of a Smit Inert Gas System for use at sea. As an integral part of preventing explosions on product and chemical tankers, it now seems unimaginable that these vessels could operate without inert gas. Nevertheless, it took many years before this technology found wide acceptance in the marine industry. 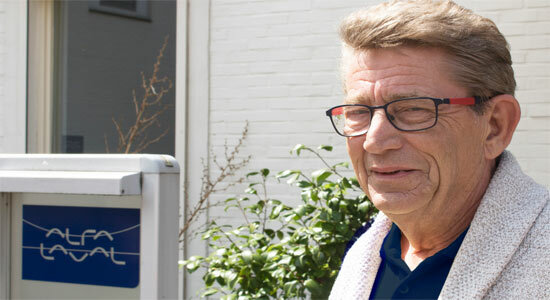 Eddie Gensen, who began working at Smit in the 1960s, has seen the entire journey first-hand and shared his recollections. From the beginning, Eddie’s career has been intertwined with the marine history of inert gas technology. 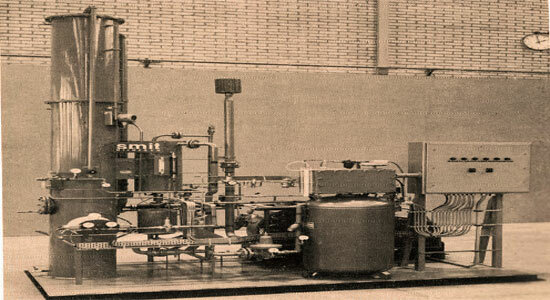 The development of today’s Smit Inert Gas System grew out of work in the industrial furnaces department of the Willem Smit & Co. Transformer Factory. At just 15 years old, Eddie joined this department as a technical apprentice in 1966. By the time Eddie was getting his start, Smit had been manufacturing furnaces for nearly three decades. Originally developed for producing Smit’s electrodes and transformers, the company began selling the furnaces to other European manufacturers in response to growing demand after World War II. In the late 1950s, Smit started experimenting with technology for creating inert gas, which was used to regulate the interior environments of the furnaces. “In those years, inert gas was only being used for industrial purposes on land, not for ships,” explains Eddie. That changed in 1967, when Smit was approached by the owners of the fishmeal vessel M/V Willem Barentsz, who believed inert gas could be used to resolve issues that had been plaguing the vessel. Smit’s engineers developed a new, custom solution, and the first marine Smit Inert Gas System was born. For Smit, the experience with the Willem Barentsz was proof of the potential that their inert gas technology held for the marine industry. This was especially true for product- and chemical tankers, where inert gas could be used to regulate the combustible atmosphere inside cargo tanks, preventing the risk of explosion. In addition to limiting danger while travelling at sea, this would keep the cargo safe during unloading in harbour. In those first years, Eddie was part of a small team that constantly tested new ideas, learning as they went along. “We had a sales manager at the time who was very hard on us,” Eddie recalls. “He would promise customers bigger and bigger systems and we never knew if it would even be possible.” The sales manager’s assurances drove Eddie and his colleagues to try different approaches, leading to new and innovative solutions. One important early installation was on board the supertanker Amoco Cadiz, which Eddie commissioned with a colleague in 1973. “It was a very big system for the time, and the first to have full water cooling,” he says. Eddie’s team discovered solutions to a number of new challenges when it came to integrating such a large installation with the Amoco Cadiz’s other systems. The experience also taught them a great deal about the commissioning process and coordinating with local shipyards. Marine interest in inert gas grew throughout the 1970s, even though the installations remained completely voluntary. In this era, many insurance providers offered premium discounts for tankers with the systems on board. As a result, more vessels installed inert gas generators, but many did not actually operate them. However, a sharp increase in tanker explosions in the late 1970s created an impetus for change. The major turning point came in 1981, when classification societies began demanding inert gas systems to prevent further disasters and ensure safety onboard tankers. In order to qualify for insurance, large vessels carrying oil and gas had to install – and use – the systems. Within just a few years, nearly all large tankers in the world had an operational inert gas system on board. Increased demand also drove new developments in the technology. Smit systems had long been able to surpass competitors in terms of gas quality thanks to the revolutionary Ultramizing® combustion system, which allowed them to burn without producing soot. However, the original Ultramizing burners relied on oil, air and steam to function. With few vessels still using steam power in the 1970s and 1980s, installing a Smit Inert Gas System required the purchase of an additional steam generator. “Many customers complained about the extra price, and it hurt our competitiveness” Eddie explains. “So around 1980, we realized we needed to find a way to remove the steam.” After two years of work, the Smit team developed a new Ultramizing combustion system that operated with only oil and gas. Today only LNG carriers, which have extremely high demands for inert gas quality, require the added steam generator. That important breakthrough solidified the Smit Inert Gas System as the market leader – a position it still holds. In the late 1990s, Eddie had a front-row seat for a period of change at Smit, including the company changing hands many times beginning in 1997. This era concluded when Smit joined Alfa Laval’s marine division in 2006. The core Smit technology remains unchanged from the very first Inert Gas Systems installed in the 1960s and 1970s. But today, Alfa Laval is harnessing the lessons Eddie and his colleagues learned from five decades of continuous development to invest in innovative solutions to the new challenges facing marine customers. Eddie is now semi-retired, working only a few days per week. However, the team he helped create is still striving to meet technical demands of marine customers and the requirements of class societies. They continue driving Alfa Laval Smit Inert Gas Systems technology forward, with new development such as those that limit fuel consumption while providing the same high quality of inert gas.